Diabetes in children, known as juvenile diabetes or Type 1 diabetes is a type in which insulin is not produced in the body. This type of diabetes is growing to be common in children today. The concern for parents about such children doubles when they have to send them to school. The school staff should be aware of the child's condition and recent modifications in his routine. It is important to make sure the school staff have trained personnel and are prepared for dealing with emergency situations if any. The kid needs to be supervised closely, but they also need to feel one among their peers. 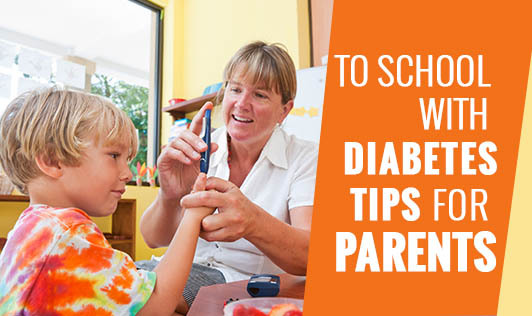 Educate your child about diabetes so that he knows how to monitor and treat the disease at a level appropriate for his age and development. If the school and your kid are prepared, it is easier to ease the child's fears and make him more confident about taking care of himself.